Valentine’s Day 2019 Thursday 14th February. Seduce your (would be) partner with something really special! 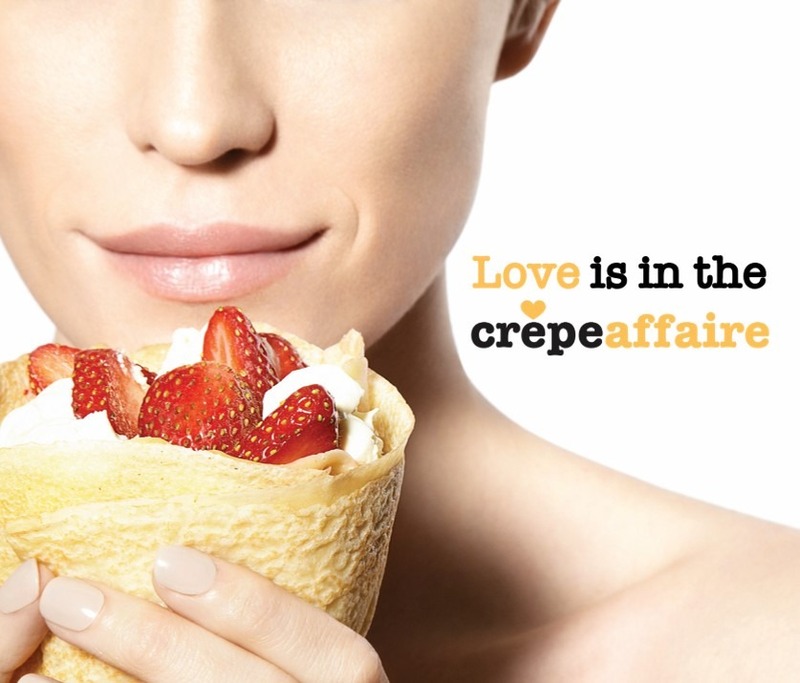 Find your nearest romantic creperie for an indulgent Valentines Pancake Date! Tag your friends on our Instagram Competition post for the chance to win a romantic crêpe date for two! Take your partner, friend, gal-pal (Galentine’s Day!) or mum and share the love this February 2019. Instagram Competition T&Cs: UK entrants only and must 18 years old+. Competition will run between 1st – 15th February 2019. Entries must be following @crepeaffaire. Must like the competition post & tag friend(s). Prize must be redeemed before expiry date on voucher. Winner will be chosen at random on Instagram. This promotion is in no way sponsored, endorsed or administered by, or associated with, Facebook/ Instagram/ Twitter. Prize offers 2 free crêpes & a bottle of prosecco to have in-store and cannot be reused or copied (not valid with any other promotional offer). The prize will need to be booked at the winner’s nearest participating UK Crêpeaffaire store. Anyone found to use multiple accounts to enter will be ineligible.